Sources say GM should have data that it needs to make Opel decision next week. MUNICH -- General Motors Co. expects that the governments of Spain, Britain and Poland will provide it with 1 billion euros ($1.43 billion) in aid for its Opel unit, the Wall Street Journal reported. The newspaper said GM could also put more than 1 billion euros of its own money into a restructuring of Opel. It quoted an unnamed person familiar with the sale negotiations on Opel. Separately, Bloomberg reported that GM's board directors should have enough information to make a decision about Opel's future at a meeting scheduled to take place Tuesday, Sept. 8. The German government has offered to fund the sale of Opel to a group led by Canadian supplier Magna International Inc. Belgium-based investor RHJ International SA has made a rival bid and this week raised its offer for a 50.1 percent stake in Opel by 25 million euros to 300 million euros in cash. GM is still looking to cut $1.2 billion in costs from Opel, eliminate about 10,000 jobs and receive $4.7 billion in government support, Bloomberg said. GM's initial review of its European business this year called for closing or selling Opel's operations in Antwerp, Belgium, and Bochum and Eisenach, Germany. Magna is preferred by Germany because it plans to keep open Opel's four German plants. RHJ plans to idle Eisenach for two years and cut jobs in Bochum. 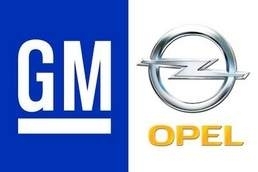 At a meeting of the GM board last month, directors led by Chairman Ed Whitacre declined to endorse the long-negotiated deal with Magna and told management to gather more information on a range of other possibilities for Opel, including raising funding to keep the unit. Any decision on an Opel deal will also have to be approved by the German trust that was set up as part of the bridge financing that was given to the automaker by the German government. GM and the German government each have two representatives on the trust and there is a fifth, neutral member. The trust owns 65 percent of Opel and GM owns the other 35 percent. Opel employs 55,000 people in Europe, most of them in Germany, but it also has large production factories in Spain, the U.K., Poland and Belgium. Expectations have grown in recent days that a final resolution on Opel could be delayed beyond the German elections scheduled for Sept. 27.